The chinese believes that one should never do laundry or clean the house on Chinese New Year, hence work must be done before the new year. Fengshui your home! 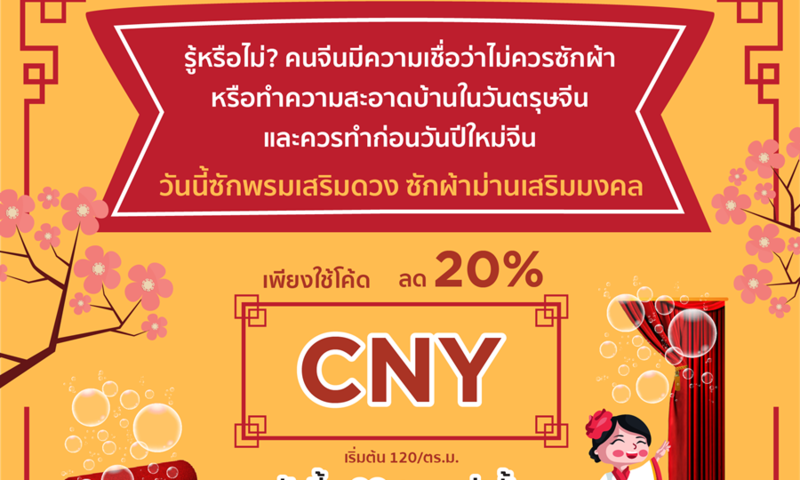 Get 20% off carpet and curtain cleaning, starts at ฿120/sq.m. Use code “CNY” Today-28 Feb 19 only.